Bianca Gonzalez (left) and Teresita Marquez (right) take to Twitter to speak up against a skin whitening ad that looks down on morena skin. Discrimation can happen in any situation−it can be about one's color or age or weight or appearance. And "extensive" discrimination based on skin color in the hiring process was the conclusion of 43 separate studies conducted in 2016 by the Journal of Ethnic and Migration Studies among Organisation for Economic Co-operation and Development (OECD) countries. There are also many statistics showing that preference for lighter-skinned hirees is prevalent among Asian labor markets, and many cases were cited in the study "Skin Lightening and Beauty in Four Asian Cultures." Hence, the rising popularity of skin whitening agents is a subtle form of discrimination, equating beauty to lighter skin. In the Philippines, a skin whitening brand's advertising campaign is a clear example. TV host Bianca Gonzalez, who has always been vocal about changing the Filipino mindset that fairer skin means absolute beauty, has taken to Twitter to send a searing message. "There is no problem AT ALL sa mga gustong magpaputi. "The problem is when whitening brands make us look 'kaawa awa' dahil lang maitim kami. "Kasi, hindi po kami kawawa, maganda ang kulay namin." 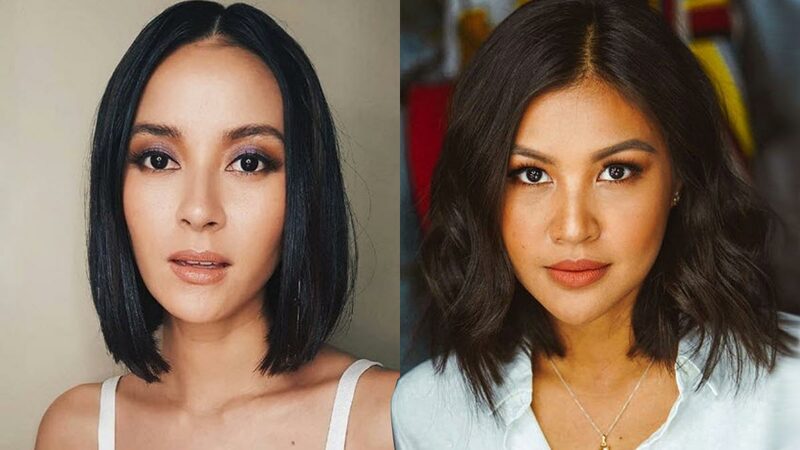 The TV host-vlogger underlined in her next tweet, "I grew up loving my brown skin because of beautiful women like Angel Aquino and Tweetie de Leon who proudly flaunted their brown skin. "I looked up to them. I did not need to compare myself to fair skinned girls. "It need not be a 'battle' of maitim versus maputi." Concluding her Twitter thread, Bianca then spoke as a mom of two. "I now have two daughters, and both of them are morena. When they grow up, choice nila kung magpapa-tan or magpapaputi sila. "But what I will teach them is that being brown is not something 'shameful' and being brown is not something that makes them less beautiful than others." On Instagram, Bianca posted a throwback photo of her nine-year-old self. She reminded herself and others to stay true to themselves. The caption read, "Hey 9-year-old me, you do you, brown skin and all. "Kahit ano pang sabihin nila, ang pagiging maitim, hindi kapintasan. #proudmorena." Teresita Marquez also had the same message on Twitter. Reacting to the viral skin whitening campaign, the Reina Hispanoamericana 2017 titleholder said, "eto lang masasabi ko.. GIRLS, LOVE YOURSELF kahit ano pa kulay niyo! Be proud! "Ako na nagsasabi MAGANDA KAYO. "wag na wag kayo maniniwala sa mga ganitong nakakainis na ad.."
Hannah Pangilinan, the second daughter of Anthony Pangilian and Maricel Laxa, wrote a love letter to all the girls on her Instagram. She reminded her followers that beauty comes from within. "to my fellow morenas, halfies or lighter-skinned girls; yup, all of you! "yes, there will be people who will try to tell you otherwise, but know that YOU have the power to choose who to listen to. listen to the voices of love, listen to the people who care and most of all, listen to the truth. "our world is fixated with altering the external self to fit in and to please others in efforts to seek validation. "and i get it, i've been there. "but trust me when i say that craving to be accepted and loved will never be satisfied by changing the outer appearance or chasing 'perfection'. we'll never meet the measure if our measure is dictated by others. "at the end of the day, it's between us and Him. it's about the heart. you are fearfully and wonderfully made—walk in your beauty, no matter what you think it might look like in the eyes of the world." Performer-actress Mica Javier posted a similar message in her Instagram post. Her post said, "Gotta love the skin you're in. "We Pinays live in the tropics, we got melanin in our skin, it protects us, it adds colour, God's design why change it, might as well embrace it. "Thunder thighs & these curves—only mean I'm strong & athletic, I need to be to get me through this life journey; it can be rough at times, but these will allow me to jump over any hurdle unscathed. "I'm just sayin'...Gotta love the skin you're in. #morena #pinay #loveyourself"
Online materials related to the campaign appear to have been deleted from their official social media accounts.